Christmas is officially over but not on the blog. I want to cheer you up these cold january days. 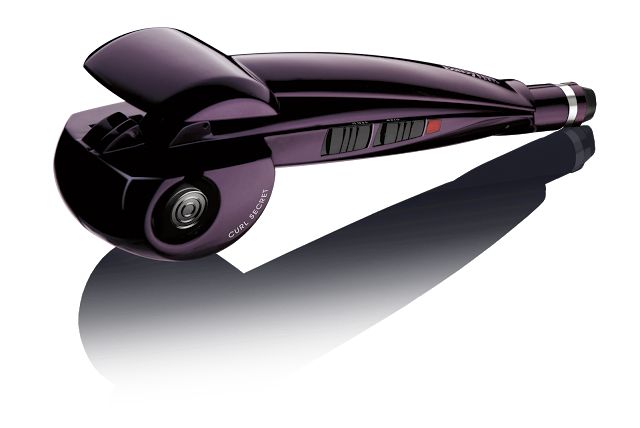 As the article about the BaByliss curl secret was the most popular one on the blog in 2014. I am quite sure you will be happy about the next giveaway. You can win the Curl Secret from BaByliss on the Blog! (Yes, it really is as easy to handle as it's been promised in advertisings) You can read my full article about the Curl Secret here. To take part you you should be following the blog via GFC or Bloglovin. And of course it would be very nice to welcome some of you also on Facebook and Instagram. Just write me an email: m-inablogspot@hotmail.com or leave a comment below. And don't forget to enter the Philips Headphones Giveaway. I'll choose a winner on January 15th. To maybe inspire you a little bit for future hairdos, I collected some of my most popular looks in 2014. You will be able to create waves like this with the BaByliss Curl Secret. See the full look here. Shooting at the Circus - a Hair and Make up School in Zurich. Braided hair for summertime - read the full article. Romantic waves. Read the full article - Paris is always a good idea. Beach hairdo - full article here. you are really gorgeous... all kinds of hairstyles suit you! I have this exact same Iron Curl! love it! Ich folge dir via bloglovin (Jennifer Abt) und natürlich instagram (jennyabt). Liebe M-ina, ich lese deine Beiträge schon von Anfang an und kenne fast alles auswendig. Ich bin immer wieder begeistert von dir und deinem Blog. Da ich den Secret Curl ja auch schon ausprobieren durfte und sehr begeistert davon war, würde ich ihn auch liebend gerne gewinnen. Ich finde deinen Blog toll :) ! Und die verschiedenen Frisuren bzw. Fotos sind wunderschön. Da ich schon sehr viel von dem Secret Curl gehört habe, würde ich ihn sehr gerne auch ausprobieren. Ich wünsche dir alles Gute und viel Erfolg mit deinem Blog. Du hast echt super schöne Bilder auf deinem Blog *. * Und diese Frisuren sind alle wunderschön! Wow, danke für das schöne Gewinnspiel. Ich probiere gerne mein Glück.